The Boston Pops are coming to Nantucket this weekend, which means easy picnic snacks are a must. 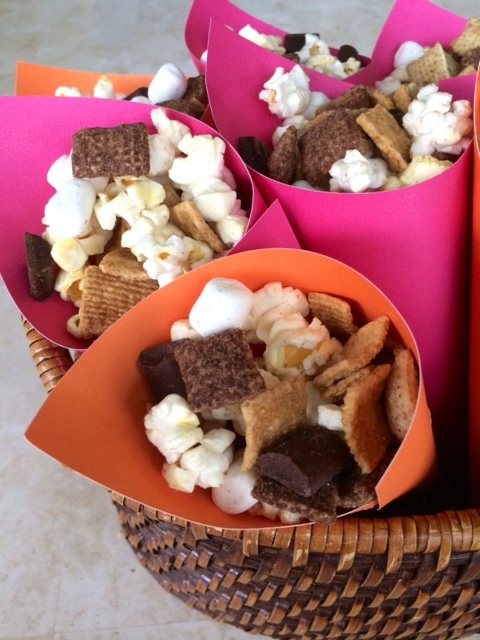 This picnic treat favorite is named after Nantucket’s famous cobblestone streets. 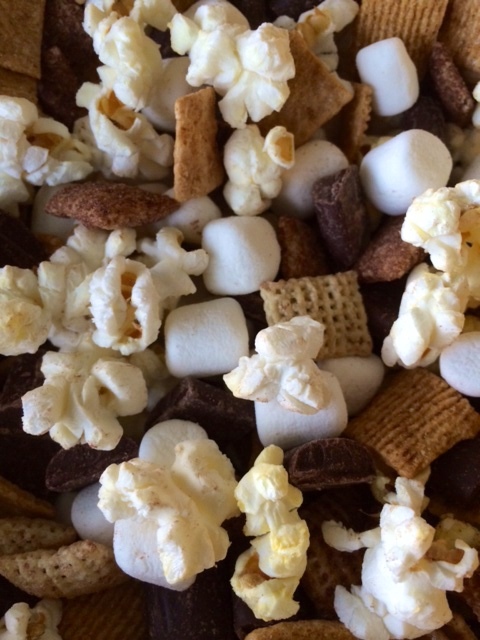 Cobblestone Snack Mix is pretty addicting, and although I won’t be on Nantucket for Pops weekend this year, it’s always been a family tradition to serve this sweet and salty treat at our annual picnic. 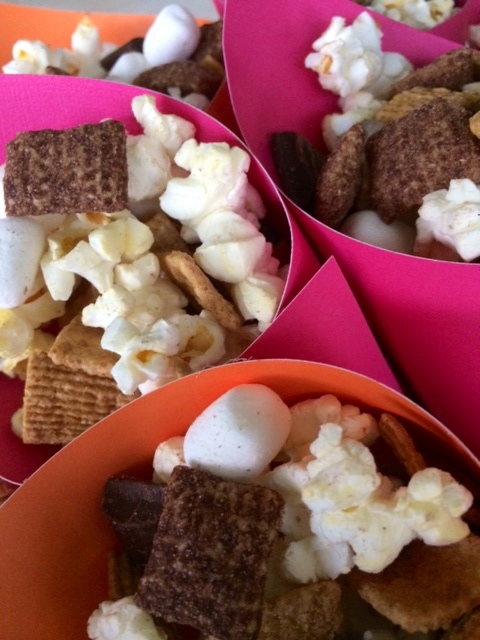 Squishy marshmallows, crunchy cereal, chocolate and buttery popcorn are mixed together for a combination that is out of this world. 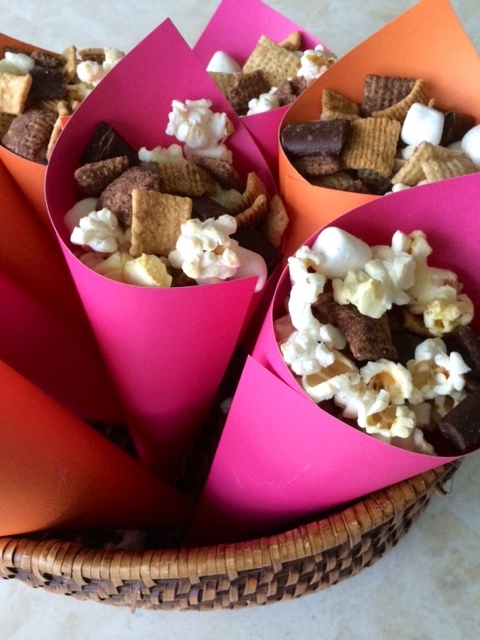 Fill in homemade cones to add a pop of color and to make this treat extra fun for Pops weekend! 1. Mix together all ingredients in large bowl and enjoy! 1. Cut a 12″x12″ colored paper in 1/4, 4 equal squares. Start by holding it up so it looks like a diamond shape and then roll into a cone. Glue seam with hot glue. 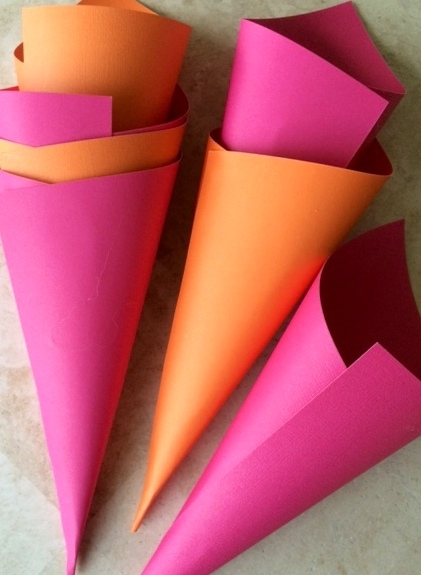 This method makes cone appear larger and gives it a nice back.